In its 10th year, the country's largest Down Syndrome research fundraiser will be returning to Downtown Denver this Saturday, Oct. 20, at the Sheraton Hotel (1550 Court Pl.). 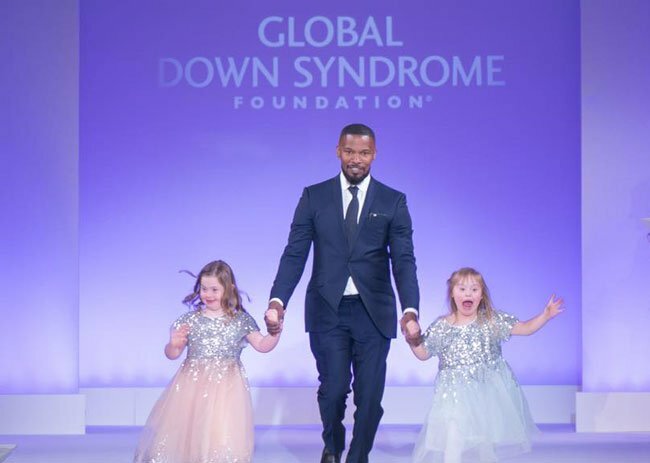 The Global Down Syndrome Foundation has announced that the likes of Colin Farrell, Jeremy Renner, Heather Graham, Shia LaBeouf, Dakota Johnson, Jamie Foxx, John C. McGinley, and Amanda Booth, along with countless local celebs including the Broncos' Von Miller and Phillip Lindsay, will all come together for the Be Beautiful Be Yourself fashion show. The celebs will be sponsoring the fashion show's models -- real kids with Down Syndrome. Tickets to this highly anticipated event are still available online. Single tickets cost $650 and include "access to a general reception with specialty drinks and hors-d'oeuvres, a 3-course dinner, and a fabulous program for a good cause," while VIP tickets are pricier ($1,300) and include everything listed with the regular ticket, along with access to an exclusive reception and a photo op with a celebrity. Guests also have the opportunity to buy a table at the event, or donate, which is highly encouraged regardless of attendance. All donations and funds raised will go toward the Crnic Institute for Down Syndrome on the Anschutz Medical Campus and the Sie Center for Down Syndrome at Children's Hospital Colorado. For more information, visit the Be Beautiful Be Yourself website. Will we see you there? Let us know in the comments below. Your guide to the 2018 Denver Congenital Heart Walk, Oct. 28.